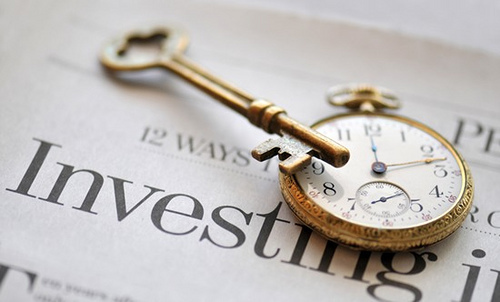 All investments have impact – both positive and negative. With new tools and resources, it is more possible than ever to create a strong alignment between your values and your financial investments. What’s more, it’s possible to engage in values-based investing without sacrificing investment return. Values-based investing can be a comprehensive approach to analyzing your portfolio, uncovering and removing newly recognized risks. Values-based investing, sometimes called “impact investing,” is an exciting journey that can encourage positive changes in companies, communities, and the environment locally and globally. 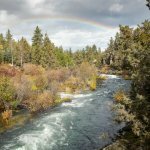 To make this journey easier, Oregon Environmental Council has assembled the following step-by-step guide for examining your own investments, a list of common questions and a list of additional resources. Following these initial steps should help make aligning your investments with your values easier and more effective. Before you can make investment decisions based on your values, you should be able to clearly describe and prioritize them. There are many different ways that companies can create social and environmental benefits. For example, many people value protecting future generations so they prioritize corporate action on climate change like reducing greenhouse gas emissions. Other people value water quality, so they will prioritize companies that invest in responsible chemicals and toxics management. Describing what you value and some issues that are important to you will help inform any changes you decide to make in your investment portfolio. Values-based investing is similar to traditional investing in that you should have goals for your money. How much money do you want to have and when do you want to have that amount? These answers will help determine important factors like risk and return rates for your investments. For example, a younger investor saving for retirement may have different risk and return needs than an older investor interested in wealth maximization. What companies am I currently invested in? Have these companies been evaluated for their performance based on my values and issues that are important to me? If not, what are my options for creating better alignment between my values and investments? Once you’ve evaluated your options, take action to better align your investments with your values. You don’t need to change everything all at once. Some people prefer to keep their existing investments in place and make all future investments more aligned with their values. Some people choose to phase out certain companies over time, while others decide to convert their entire portfolios at once. Individuals and organizations that make investments can also influence business decision-making through impact investing. The process of aligning your values with the companies and communities where you invest your money is generally considered values-based investing. One common strategy used in impact investing is called shareholder advocacy. Shareholder advocacy is the way in which individuals and organizations can assert their power as owners of the company to influence its behavior. Why do individuals and organizations use values-based investing? Impact investing is an approach that allows individuals and organizations to create stronger alignment between their values and their investments, rewarding companies that are leaders while also promoting positive change in companies where it’s necessary. Can you make money and make a difference? In short, yes. Like traditional investments, values-based investments generate returns that range from below market rates to at market rate. How can individuals engage in impact investing? OEC does not endorse or recommend specific funds, investments, or advisors, and each investor should do their own due diligence to determine if a fund or investment is an appropriate fit for them. Information about fossil-free mutual funds and building your own fossil-free portfolio are available from the U.S. Sustainable Investment Forum (http://charts.ussif.org/mfpc/) and from Green America (http://www.greenamerica.org/fossilfree/). For information about how OEC partnered with experts to employ a system for scoring publicly available mutual funds based on their underlying investments, contact Mark Bateman (mark.bateman@ensogoanalytics.com). No Replies to "Values-Based Investing and Your Portfolio: Resources for Individuals"